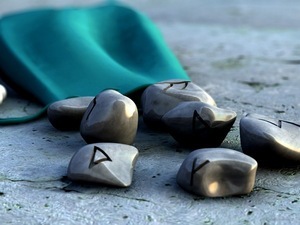 Newsletter – February 2012 Ancient Aliens We continue the tradition by starting with Ancient Aliens. Who knew, in 2009, that Ancient Aliens would have the popularity and the shelf-life it is currently displaying? I certainly did not and neither did anyone else involved in the production of it! After 16 episodes of Season Three, I was filmed for another 15 episodes of Season 4 in December and January. The season began airing in the US on February 17. The History Channel has revamped “History International” to “H2” and Ancient Aliens is premiering on that channel, though I am pretty confident that “H1” will continue to schedule marathons and repeats on the main channel sooner rather than later. Season 4 will feature more in-depth discussions of certain topics explored in the previous seasons, as well as feature some new topics, with interesting twists. 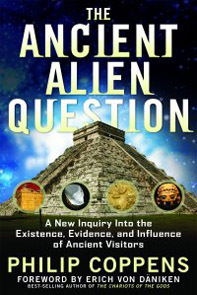 The big event of the last few months has been the fact that on November 15, my book, “The Ancient Alien Question”, was published (available from all bookshops, as well as Amazon.com). For almost two months it stayed in the top twenty on Amazon in the New Age category, while in the run-up to Christmas, it was selling at front tables at Barnes & Nobles across the country. Sales-wise, it has been doing really well, including after the holiday season. In fact, it occasionally re-enters the top twenty of the New Age category at Amazon. There is also an audio version of my book “The Ancient Alien Question” available, for those who prefer to hear, rather than read information, as well as electronic editions for Kindle and other electronic platforms, though not the iBookstore. Over the course of its promotion, I did around sixty radio interviews, including Coast to Coast AM. All great fun, and I had no idea there was so much radio out there! In November, I also worked on a DVD version of The Ancient Alien Question, which is currently in the final editing phase. The trailer is up on YouTube. The release date for this documentary is somewhere in the summer, and I will of course keep everyone informed. Apart from “Ancient Aliens”, I also featured in a number of other television documentary, including “Civilization Lost”, a two hour special on lost civilizations, and the opening episode of “America’s Book of Secrets”, both on The History Channel. For the latter show, it was great to talk about Devil’s Tower, that enigmatic towering monument that featured so prevalently in Steven Spielberg’s Close Encounters of the Third Kind. 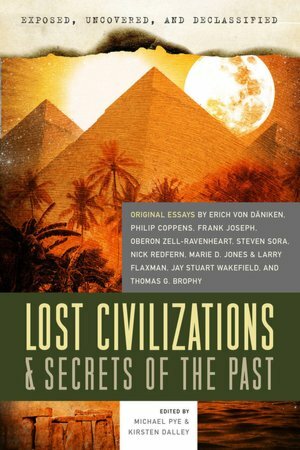 Lost Civilizations On December 15, I had an essay published in an anthology, “Exposed, Uncovered & Declassified: Lost Civilizations & Secrets of the Past”. This book gave me the opportunity to relive Marcel Mestdagh’s research. He was the man who introduced me to the ancient mysteries and his material was what initially brought me into contact with the world of ancient aliens. The essay is the first step of what will become a study that will take up some years before a major book on this man and the lost megalithic civilization will be published. But as a first step, read an overview of Mestdagh’s findings on the subject matter, which will show that the civilization of Atlantis was real and that the findings of Mestdagh, once properly understood, will transform the history of the ancient world forever. Other contributors to this anthology are Erich von Däniken, Frank Joseph, Nick Redfern, Thomas G. Brophy, William Bramley, Adrian Gilbert, and many others. One of my projects for this spring is to write the successor to “The Ancient Alien Question”, titled “The Lost Civilization Enigma”, which should reveal enough about its contents. 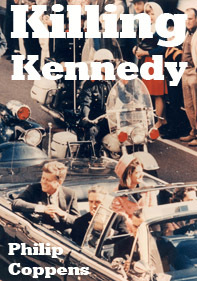 Killing Kennedy In the run-up to Christmas, Kathleen bought and read Stephen King’s new novel “11/22/1963”, about the assassination of President Kennedy. On a number of occasions, she was reading aloud from the book and it infuriated me greatly that here was a man who should know better than to believe what the debunkers had written about the assassination. All the books King listed, were written by adherents of the long gunman theory and I even wondered whether it was the novelist in him who felt that the official version was more easily adaptable to fictionalization (after all, it already is fiction!) than the truth, as his wife Tabitha, as mentioned by King, was convinced there had been a conspiracy. So as Kathleen was finishing the book, I was working through my old manuscript, readying it for publication as an ebook. On January 17, the book was released on Amazon Kindle and since, it has become available for all other ebook formats and platforms too. Looking forward In December, Kathleen and I flew to Washington State to interview Jesse Marcel III, the grandson of Jesse Marcel, the man who is at the center of the Roswell controversy: whether or not an extra-terrestrial spaceship crashed in 1947 in the deserts of New Mexico. The result of this encounter will be a DVD documentary, to be released this summer. It is also the start of a series in which I will tackle a number of topics – maybe as many as four per year. Filming for the second DVD occurred in the middle of February, with Duncan Lunan on the topic of the Green Children of Woolpit, in Woolpit itself. This is your typical English village, but one could also feel the strange energies of the place, especially the night we arrived, when you could almost pinpoint the location from which the “otherworldly energies” emanated from! I also hope to finish two more manuscripts, one “Avenging Anne Boleyn” and a third whose title and subject matter I am currently keeping under wraps, as it’s a simple but interesting topic. Travels This is a tour and travel heavy year. After a few months in Los Angeles, we are now in Europe for several months, though Kathleen will jump back and forth on a few occasions. The early part of March will see a Writer’s Seminar held in Southern France; from late April to early June, we will be doing four tours of France, focusing on the Cathars, Mary Magdalene, and the Book of Love. 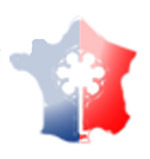 For all information, visit www.sacredfrance.com. There are still spaces available for the April and May tours. At the beginning of September, I will be speaking in Sarajevo on the Bosnian pyramids and in October, I will be at the Paradigm Symposium in Minneapolis. In early October, I will be in Peru, leading a tour of the major archaeological sites there, while in December, we are joining Dr. Carmen Boulter on her exploration of Egypt. You will receive more information in special newsletters about these upcoming tours. New and continuing developments I held an introductory webinar on the Feather of Life program and thought I could hold a series of webinars in January/February. Alas, many of the projects listed above, and especially the many radio interviews, did not give me a clean calendar for this to be accomplished, and so it has been rescheduled for later in the year – and hopefully as soon as possible. My blog is still appearing somewhat frequently, in between normal updates to the site. Meanwhile, The Spirit Revolution radio show still continues to grow – a development we are most happy about – and we are as always looking for great guests. If you know of any, please let us know. And just to repeat: please know that I read all the emails I get and that I try to respond to each one of them. If I do not reply and you feel I should, just send the email again, until I do. I will not be offended… but you cannot give up! It is one of those facts that a short email normally needs only a quick reply and is therefore easily done, whereas longer emails require more time, often some thinking time, and that is not always a given.